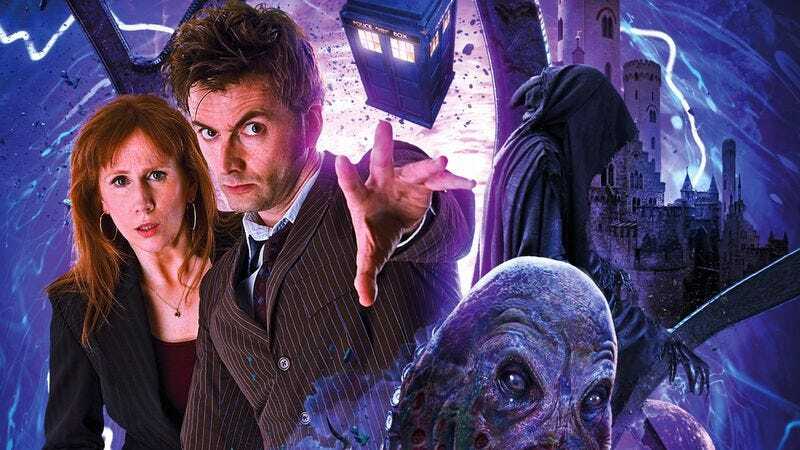 These initial three 10th Doctor stories are likely just the tip of a very nerdy iceberg—Big Finish refers to the stories as “Volume 1,” though they make no mention of potential follow-ups, which just leaves it to fans to speculate wildly about future adventures with other beloved 10th Doctor-era characters like Rose or Martha or, oh, let’s say, the back of Barack Obama’s head. While Big Finish’s license long limited them to just the classic series, the terms of the recent license renewal now gives them access to anyone and anything before Peter Capaldi’s current tenure. All of which is to say that, given that Christopher Eccleston seriously isn’t coming back, we might as well all start staring longingly at Matt Smith and Karen Gillan, assuming we weren’t already doing that anyway. Or, you know, we could focus on the thing that’s actually happening, but that doesn’t sound like how Doctor Who fandom works. Anyway, here’s the last time the 10th Doctor and Donna reunited, showcasing their very particular chemistry in maybe the least audio-friendly way possible.